Feeling tired? Need a boost? Try this Alerting Aromatherapy Kit instead of a cup of coffee. 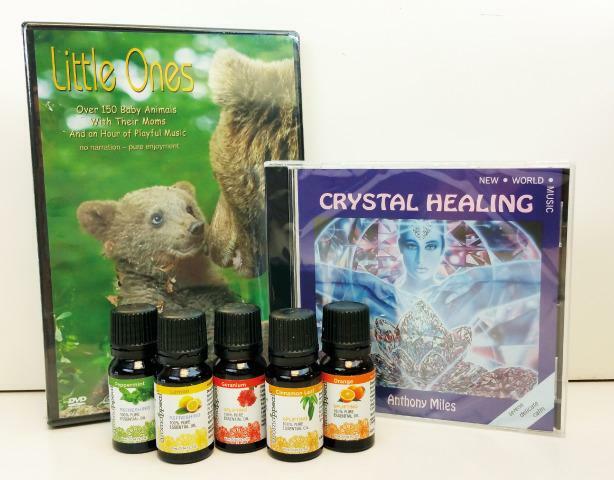 This stimulating kit includes our Alerting Aromatherapy Oil Kit, Little Ones DVD and Crystal Healing CD. Essential oils (10-ml bottles) included are Peppermint, Lemon, Cinnamon Leaf, Geranium, and Orange. Little Ones DVD is full of incredible cuteness to keep anyone's attention. See baby animals and their mothers in their natural habitat. It will make you smile and want to watch over and over again. (61 minutes) Crystal Healing CD: This clear and delicate music floats in your mind untangling your stresses, refreshes and comforts. (2 hours).